One thing I have been focusing on lately is face wash mixtures because it is fascinating just how most face wash products contain ingredients which actually do more harm than good. One thing everyone should be aware of (or after reading this you shall be aware of) is that alcohols and harsh chemicals strip the natural layer of your skin of oils. These oils are there as a protective layer to keep all the goodness and hydration in. Once you strip this layer, it creates an environment for bacterial growth which leads to enlarged pores and acne. Not only this, but by stripping these oils, it leads to premature ageing! This is something us ladies do not want and go out of our way to delay, most of the time spending ridiculous amount of money on magic potions and lotions to assist us… Little do we know, these products ‘designed’ to hep us, actually help promote it! A Vicious cycle created by companies to encourage further sales of their products… and so the cycle continues. Don’t misunderstand me, these stripping ingredients were once thought to have a purpose. By removing the oils in your epidermis your skin was left looking matt and fresh, not dewy and (what most people consider as ‘oily’) hydrated and plump. So because of this, these ingredients have somehow managed to stay in our products thus forever creating a need for acne lotions and all sorts of other treatments which could all be avoided if you just stopped using harsh products. The most common alcohols or ingredients in our face wash which do just this are: Benzyl Alcohol, Sodium Laureth Sulfate and Sodium Lauryl Sulfate. Now have a look at your face wash and see if they contain these… Maybe answers some questions about your skin condition? I am not saying they are terrible or slamming those companies, but times have changed and there are loads of safe ingredients out there that can be used for the same purpose. Get with the times. People want safe, healthy and the best out there. On that note, from my personal experience, since using My Skincare’s product range for face (granted the whole range is not yet available on the market #comingsoon) my skin looks like porcelain. My enlarged pores I always had around my cheeks are virtually gone. The blackheads and whiteheads I had have over time wriggled out of my skin. Barely ever get a pimple any more. (take note adult raging acne runs in my family). My skin honestly looks incredible. But it could also be the fact that for the last 2 years I moved from meat eating to vegetarian and am now officially vegan. I am sure that also plays a role with skin condition, however sorting out your facial regime to using HELPFUL and not harmful products is a massive aid in the step to a clear complexion and gorgeous skin! 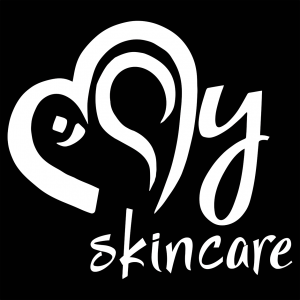 Previous Post The beginning of a new era of skincare products….